//High chemical and temperature resistance with ultra-low outgassing. Antero™ 800NA is a PEKK-based FDM® thermoplastic. It combines FDM’s design freedom and ease of use with the excellent strength, toughness and wear-resistant properties of PEKK material. Antero 800NA exhibits high heat resistance, chemical resistance, low outgassing and dimensional stability, particularly in large parts. Antero 800NA is compatible with SUP8000B breakaway support material. //3D print high-performance parts in tan or black. 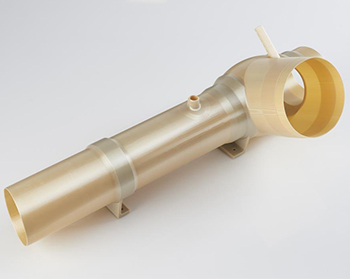 ULTEM 9085 offers a well-vetted high-performance thermoplastic. Advanced applications include functional testing, manufacturing tooling and direct digital manufacturing of production parts — including aircraft interior components and ductwork. 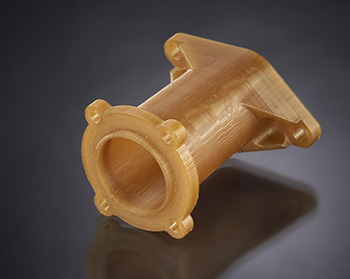 This high-performance FDM thermoplastic expands the use of additive manufacturing into applications that demand thermal and chemical resistance. 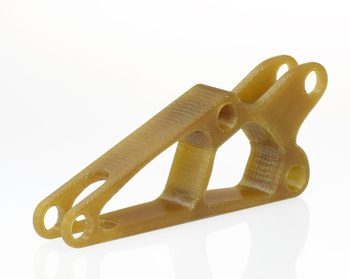 ULTEM 9085 works with breakaway support material and is available in tan and black. 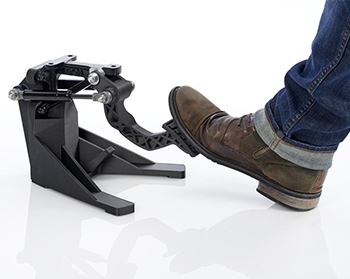 //3D print strong, stable parts. ULTEM 1010 resin offers the highest heat resistance, chemical resistance and tensile strength of any FDM thermoplastic. The certified grade of this material is biocompatible and approved for food contact with NSF 51 and ISO 10993/USP Class VI certifications. ULTEM 1010 resin is available in a general-purpose grade (ULTEM 1010) as well as a certified grade (ULTEM 1010 CG) for customers who want to take advantage of food-contact and bio-compatibility certifications for special applications including food production tools and custom medical applications. ULTEM 1010 is available in the color natural and works with improved, easy-to-use breakaway support material. //3D print heat-resistant, strong sterilizable parts. This material’s impressive properties help you speed product development, gain testing confidence and reduce risk. 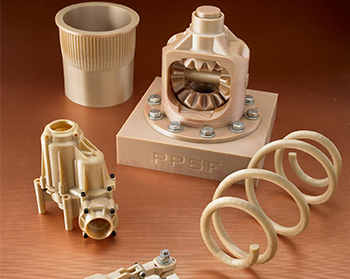 PPSF/PPSU is available in tan and works with breakaway support material. FDM Nylon 12CF is a carbon-filled thermoplastic with excellent structural characteristics. The material is comprised of a blend of Nylon 12 resin and chopped carbon fiber, at a loading of 35% by weight. This combination produces one of the strongest thermoplastics in the FDM® material portfolio. It has the highest flexural strength of any FDM thermoplastic, resulting in the highest stiffness-to-weight ratio.